Who Has the Edge Heading into Game 6? The Miami Heat and San Antonio Spurs are putting on a show in this years’ NBA Finals. The series is heading back to Miami for game 6 with the Spurs up 3-2 putting LeBron James and the Heat’s backs against the wall. This is a situation that they have been in before in the Big 3 era, and they lost to the Mavericks two years ago in the 2011 Finals. The Heat also find themselves in a similar situation that they have faced six times in the playoffs and 16 other times in the regular season, playing a game after losing the previous one. The Heat haven’t lost back to back games since early January and in the playoffs they are 6-0 in such situations, winning by an average margin of 20.7 points. With this being said, do the Heat have the advantage heading into game 6? If the numbers have anything to say about it they should win, but if they want to make it easy they have to make adjustments to the 114 points they gave up on 60% shooting from the field last night to the Spurs. For the second straight game Mike Miller started for the Heat as opposed to Udonis Haslem to make a smaller lineup, which worked in Game 5, but Gregg Popovich matched that in Game 6 by starting Manu Ginobili instead of big man Tiago Splittter for the first time since last postseason. The struggling Ginobili broke out of his slump and put up 24 points and 10 assists to help jumpstart the San Antonio offense. Now I think the Heat have to go big because if the teams play small than the Spurs have the advantage. The smaller lineup puts the Heat at a disadvantage if Ginobili plays well because he helps everybody out. He can play off the ball more and play his game, get his shot and make passes to players like Time Duncan and Kawhi Leonard who went 7-10 and 6-8 from the field last night respectively and if Danny Green continues to shoot over 60% from three during the series that small offense is almost unstoppable, which combined for 107 of the teams 114 points. The Heat have to go big. Their spark plug for the end of the regular season and the postseason off the bench, Chris Andersen, didn’t play in last nights game and Udonis Haslem only played 9 minutes. If the Heat want to win they need to go back to the old offense of getting into the paint and having the option to finish around the rim or kick it out to the plethora of shooter they have on the outside. 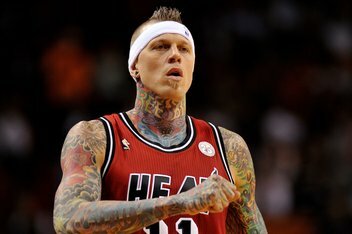 The Birdman can bring offense and defense and Haslem adds solid mid range. If they want to win they also need more from Mario Chalmers and Norris Cole, who combined for 2-11 from the field and didn’t do a good job on Tony Parker. Heading into Game 6, if the Heat can make adjustments they should have the advantage heading home because they don’t lose often at home and they don’t lose back to back games. I do think the Spurs have the advantage in the series because they proved they can cause huge matchup problems and that they can win in Miami. The team that controls the tempo will win both games and if the Spurs continue to push the tempo and go with the smaller lineup I don’t see them losing. If Game One on Saturday was any indication of how good the Brooklyn Nets can play, then last night’s performance was certainly an indication of how much they can struggle at times. Trying to stretch their series lead to 2-0 before heading to the Chicago Bulls for two games at the United Center, Deron Williams and co. struggled to get any kind of offensive rhythm going against the Bull’s vaunted defense while Chicago’s grind- it-out offensive mentality allowed them to produce just enough to fly back home with the series tied and momentum on their side. To read the rest of my article I wrote for DoubleGSports.com, click here. After fifteen long days, Rutgers’ search for a new men’s basketball coach has come to an end. Eddie Jordan, who is currently an assistant coach for the Los Angeles Lakers, has agreed in principle to a 5 year, $6.25 million dollar deal to coach the Scarlet Knights. This signing comes in wake of the Mike Rice scandal, which resulted in constant negative media scrutiny surrounding the University, in addition to the firing of Rice on April 3rd, and the resignation of former Athletic Director Tim Pernetti two days later. Eddie Jordan is certainly familiar with his new surroundings. The former NBA head coach played for Rutgers from 1974-1977. Most notably, Jordan was the point guard on the 1976 Scarlet Knights team that advanced to the school’s only Final Four appearance. That year, Jordan, who was known as “Fast Eddie,” during his playing days, averaged 14 points and 5.3 assists for his team. The following season he earned All- America honors and then proceeded to enjoy an 8 eight career in the NBA before working his way up the coaching ranks. While the hiring of Jordan is seen as a positive one amongst many Rutgers fans and alums, Jordan has to hit the ground running in Piscataway. Besides the fact that he is now faced with the tough task of attempting to restore the program’s image, he now has to convince Rutgers’ top players from last year to stay on the team. Since Rice was fired, five players on the team have requested for full releases from their scholarships in order to transfer. Most notable of those players is Eli Carter, who has been the team’s leading scorer for the past two seasons, including averaging 14.9 points per game last season. All in all, I would say that this was a good hiring for Rutgers. While the fact that Jordan has never been a collegiate head coach is a little disconcerting, he brings a very impressive resume to the table. Jordan coached the Washington Wizards to four straight playoff appearances from 2004-2007, so he has had plenty of success. Jordan should be able to get plenty of Rutgers alumni to gain interest in the program again after not having made the NCAA Tournament since 1991. Hopefully for Jordan’s sake, he can convince at least two of the five players that intend to transfer on the roster. From there, Rutgers has enough talent to at least put together a respectable season in what used to be the Big East. The bottom line here is that this project will not be completed overnight. It will take several years for Jordan to turn around the Scarlet Knights men’s basketball program. While it will be tough, if anyone’s capable of doing it, it is Fast Eddie. Every basketball fan, guy or girl, knows about the incredible career of former Baylor star and WNBA Draft number one pick Brittney Griner. The NCAA’s second all-time leading scorer dominated in her time with the Bears, setting records for blocked shots, dunks, making All-American teams and winning championships. 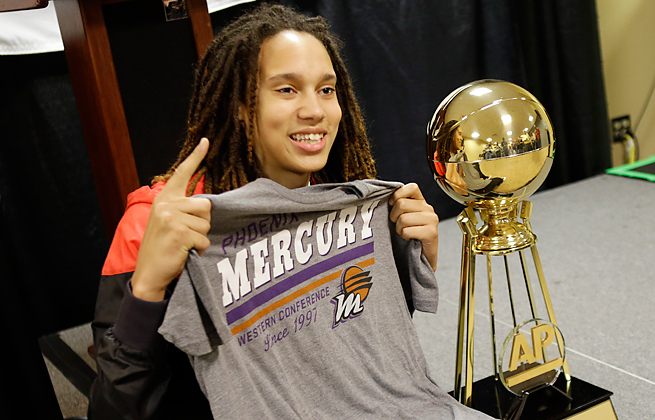 Yesterday, Griner had a victory off the court. Just days after being drafted by the Phoenix Mercury, Griner did a group interview other recently drafted WNBA players Skylar Diggins and Elena Delle Donne for SI.com. In that interview, she talked about being gay for the first time in public. Griner was not afraid to talk about it and she is over the whole thing and ready to be herself. “Don’t worry about what other people are going to say, because they’re always going to say something, but, if you’re just true to yourself, let that shine through. Don’t hide who you really are.” -Brittney Griner. This is something that you have to respect. Griner is not scared to be who she is, so on the court she puts that aside, does her job and plays good basketball. This is not easy for her, since she is one of the most popular women athletes in the world, but I think she handles it very well. So here is my salute to Brittney Griner, be who you want to be and keep doing what you’re doing. The NBA’s 2012 – 2013 regular season is officially in the books. With that, the 16 playoff-bound teams can finally begin to solely focus on their first-round playoff matchups. The Brooklyn Nets (49-33) secured the number 4 seed in the Eastern Conference a few days ago already, but did not find out until Wednesday night who they would face in the Conference Quarterfinals. With the Chicago Bulls’ (45-37) win over the Washington Wizards, and the Atlanta Hawks’ loss to the Knicks, the Bulls locked up the number 5 seed and are set to travel to Brooklyn for Game 1 on Saturday evening. 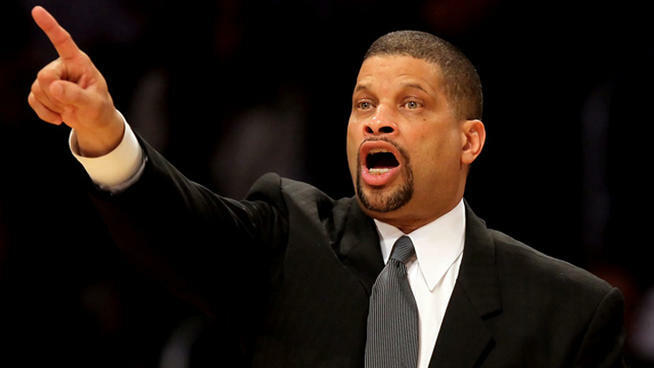 To read the rest of the Brooklyn Nets playoff preview I wrote for Double G Sports, click here. 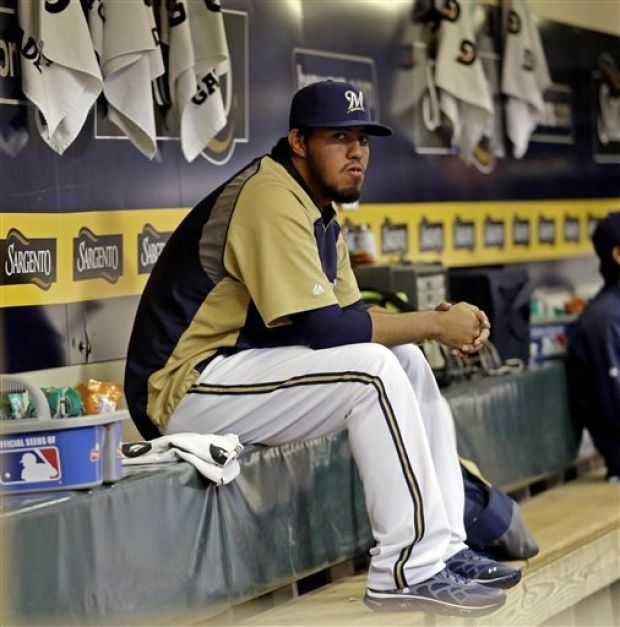 Milwaukee Brewers’ pitcher Yovani Gallardo ran into a little legal trouble early Tuesday morning. He was arrested for drunken driving, having a .22 BAC while behind the wheel. He was spotted driving alone on a city highway near Miller Park, where the Brewers play, and he was driving about 15 mph below the speed limit swerving around. This just added to the rough start that the Brewers’ ace was having. He is 0-1 so far this season with a 6.61 ERA and now a DUI. He faces nearly $800 in fines. Ivan Nova got his first win of the young season, Robinson Cano smacked a three-run homer and the New York Yankees beat the Arizona Diamondbacks 4-2 last night. Yet, the biggest story from the game may have come off the baseball diamond. 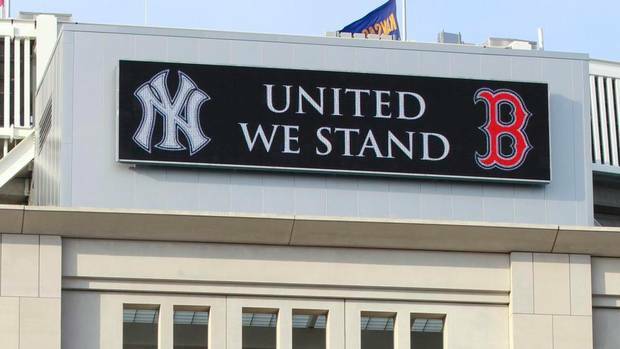 The Yankees honored the victims of the Boston Marathon by playing Neil Diamond’s classic song, “Sweet Caroline” a fan favorite at Fenway Park for the past many years of the longtime rival Boston Red Sox. There was also a pregame moment of silence.